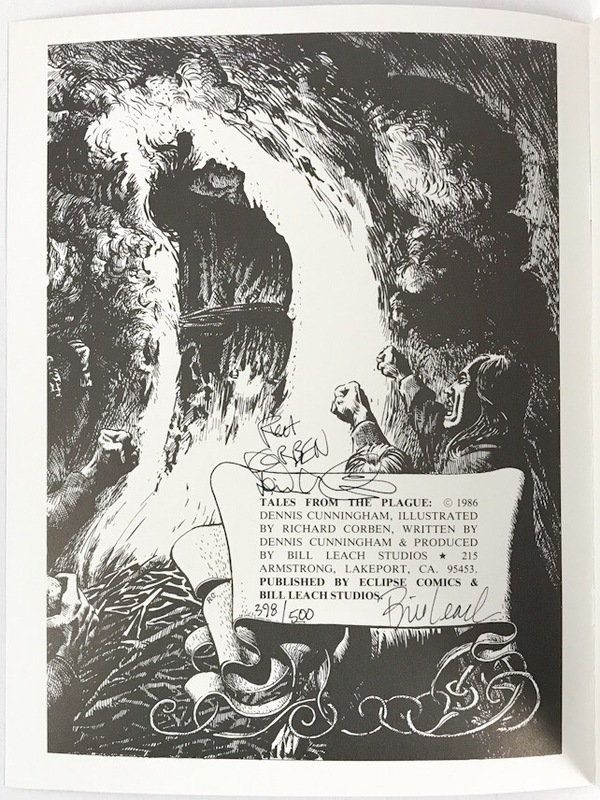 #398 of 500 numbered copies signed by the artist, the writer Dennis Cunningham, and the publisher Bill Leach. 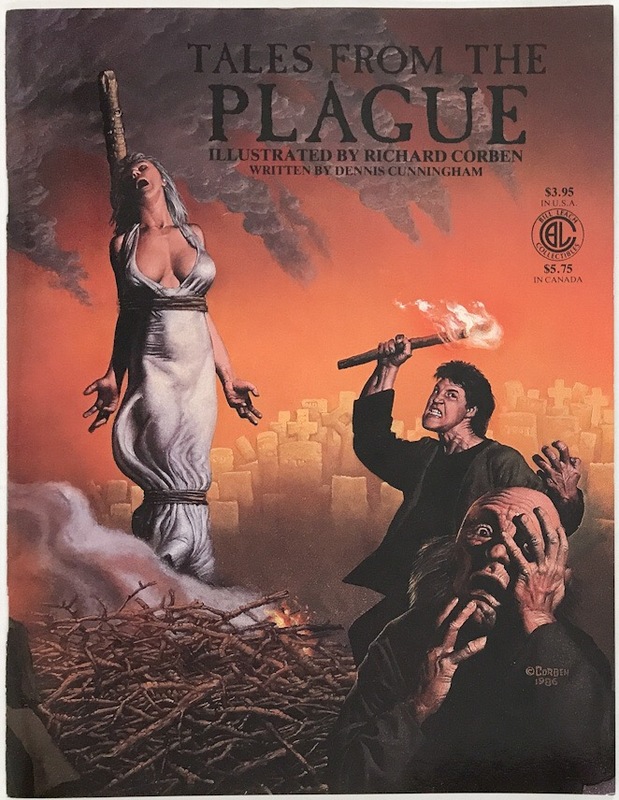 A magazine format reprinting of Corben's first two comic stories--illustrated versions of two 17th-century manuscripts--originally published in Weirdom Illustrated #13 in 1969. With a new wraparound color cover painting. #398 of 500 numbered copies signed by the artist, the writer and the publisher.